The modern mattress is a “bed-in-a-box” and these ten companies offer a wide range of options—all with compact packaging, direct delivery, and quality construction with a reasonable price tag. In the name of scientific research, our editors slept on the job and reported back so you can find the right mattress and rest easy. 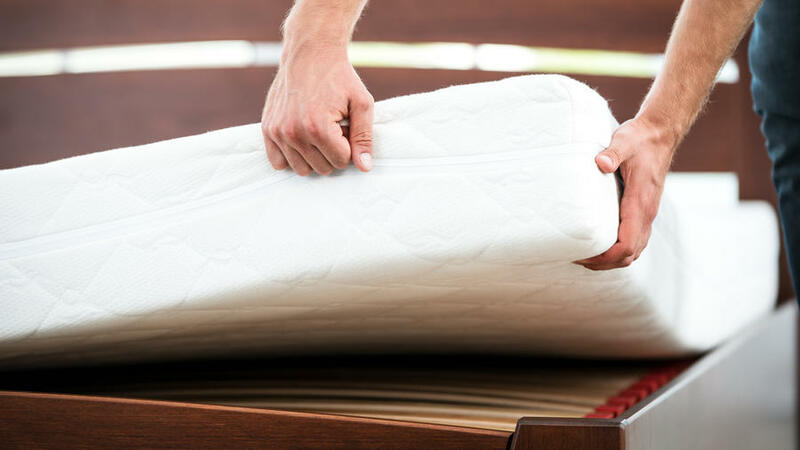 No matter which option you choose, buying a new mattress is a significant purchase, and for many, these in-a-box choices are new territory. While there are some differences between companies’ offerings, there are a few overarching characteristics between brands. Most of us have gotten used to the feel of a traditional innerspring bed, so the adjustment period when switching from coil to foam can take some time. That’s why many brands require a 30-day minimum trial before accepting returns. So if you’re not immediately sold, give yourself some time to break it in. And if you’re particularly sensitive to smells, be aware that there may be an initial odor upon opening the vacuum packed mattress. Let it air out and it should dissipate within two days. Lastly, mattresses are heavy. Recruit a friend or family member to lift the box into the room and set it in place. Keep in mind: It’s 13-inches tall, so typical fitted sheets are a little snug. You may need one made for tall mattresses. To buy: from $350, brentwoodhome.com. Keep in mind: If your sheets are as old as your mattress and could also use an upgrade, Casper designs their own corresponding set. To buy: from $500, casper.com. Keep in mind: Our tester didn’t unpack her mattress right away, and when she did, it took a while to settle and unfold completely. Give it about 3 hours before hitting the sheets. To buy: from $495, ghostbed.com. Keep in mind: If you’re hesitant to ditch the innerspring mattress completely, this bed-in-a-box version offers a combo of coils and comfort foam. To buy: from $577, shop.keetsa.com. Keep in mind: You can offset the cost by participating in the company’s refer-a-friend program that gives you $50 for every referral. To buy: from $525, leesa.com. Keep in mind: Lull (and a few other brands) offer free shipping—a huge asset when making such a big purchase. To buy: from $500, lull.com. Keep in mind: If you’re not sure it’s the right mattress for you, Nest bedding (and a few other brands) requires that you give it a full 30 days before giving up completely. To buy: from $899, nestbedding.com. Keep in mind: Our tester found that, due to the height of the mattress, her fitted sheet was quite snug. You may need to get one made for a higher mattress. To buy: from $799, novosbed.com. (Use Code: SAVE100). Keep in mind: The smaller the mattress, the easier it is to maneuver and open. This tester opted for a twin and found it easy to set up and no obstacles preventing a good night’s sleep. To buy: from $350, tuftandneedle.com. Keep in mind: Aware that a full-size bed stuffed into a 4-foot box would be a bit cumbersome, our tester recruited help with the heavy lifting. Luckily, the box was outfitted with two handles on the top to help. To buy: from $549, yogabed.com. (Use Code: SIMPLE60).